EVEN IF IMPACT EVALUATION IS NOT FOCUSED ON ADVOCACY GOALS, REDRAWING the boundaries among audiences, the reporters and community organizations may feel too porous for newsrooms that still operate with a closed editorial model that centers on the tenets of objectivity, fact-checking and journalistic independence. Instead, Steele suggests, it might be more useful for reporters to conceptualize horizontal lines (as illustrated in the graphic to the right), representing a continuum of participation, guided by independent judgment and the needs of their communities. Each role journalists may play (independent reporter, detached observer, advocate, etc.) in this new model suggests a slightly different theory of change, with corresponding differences in benchmarks, goals and performance indicators. All of this depends, however, on journalists maintaining audience trust—a commodity currently in short supply. With a sharp rise in partisan media, questions of news bias have come to the forefront. Participatory and citizen media are providing new sources of information, but also raising questions about sourcing and fact-checking. The influence of advertisers on content has long been an issue for editors, but now foundation funding is raising new concerns about journalistic independence. As the Nelson Poynter Scholar for Journalism Values for more than a decade, Steele has trained media leaders and news organizations on reporting ethics. Supporting newsrooms in maintaining such quality control is one way that funders can help to ensure impact without calling a newsroom’s integrity into question. 1. Show how the reporting is done and why people should believe it. 2. Acknowledge your intentions, and be honest about how that might impact what you report and how. 3. Engage community as an end rather than a means. 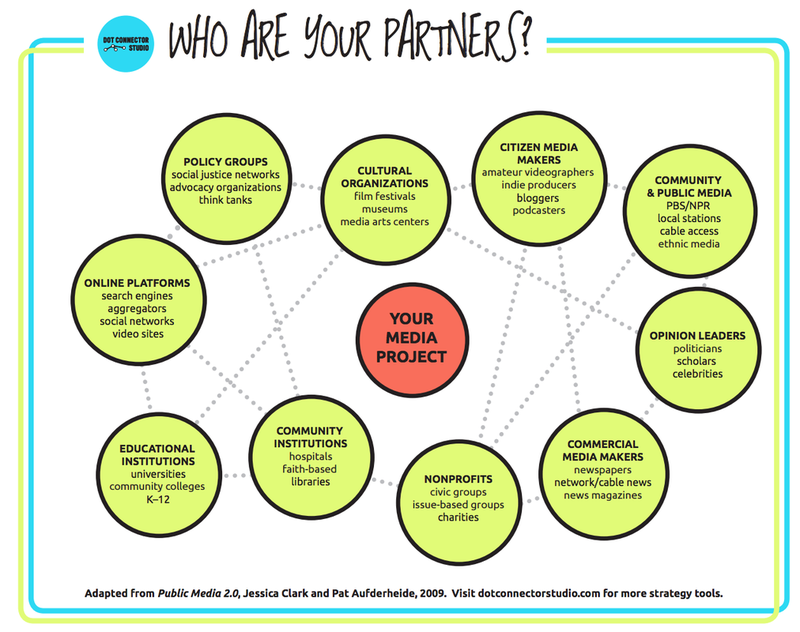 Just as journalists must establish transparency in their relationships with foundations and other supporters, they must also clearly define their relationships with other outlets, community partners and advocates, as illustrated in the diagram above. Funders often see collaboration as an important tool for increasing the impact of their investments. However, at a certain point, collaboration can move beyond simply amplifying coverage or engaging audiences in an issue. Defining appropriate boundaries for partnerships is key.